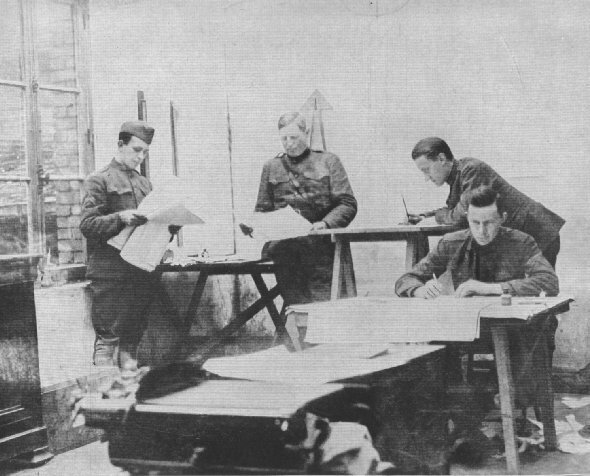 INTELLIGENCE SECTION--FIRST DIVISION MAPPING THE MARNE SALIENTOn May 27, 1918, Ludendorff struck his third terrific blow between Soissons and Rheims. For 3 days, the average German advance was 10 miles a day. 40,000 prisoners and 400 guns were captured. Foch ordered the 2nd and 3rd American Divisions against the spearhead of the German rush.